Atari, already a household name known practically around the world for their contributions to the history and future of video games, is headed to the online gambling market in a new business venture. With a name a huge as Atari, players have always known that they are getting a game that's on the cutting edge of arcade type fun, with hits that are still very much in the active consciousness of gamers despite their age, such as Pong and Asteroids. Their contributions have even managed to inspire generations of programmers and digital artists to take up video games as their chosen stream and spreading their passion through those who have interacted with their products. 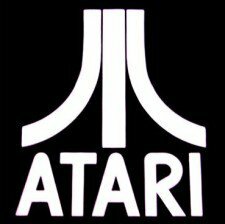 "Atari is more than a game publishing company; it's an iconic brand that has established a passionate and timeless culture... Known across multiple generations around the world, Atari will continue to embrace all audiences. What the company has accomplished over the years is no small feat, but there is more to come. We're looking forward to delivering on our new strategy and engaging with our audience in new ways across multiple channels as the next era of Atari unfolds. We are leading a rebuilding exercise in a highly volatile industry, so at the same time we are also aware of the challenges that lay ahead," said Atari CEO, Fred Chesnais. Their steps forward from here will take them into the online gambling world through not only sites that can be accessed from desktop computers but also the mobile market which, between the thousands of Android and iOS devices activated daily, grows constantly. Their focus also extends to licensed hardware and, that they call, "other digital mediums," and, "gamified hardware, and other wearable devices." Understandably, their true plans for the short and medium term end games is a little cryptic but some secrets must be kept until the time is right. Their promised delivery so far is that they will be making a strong push to appeal to an audience of online gambling enthusiasts, both experienced and new, by building all new social casinos which offer both free and real money gambling as well as further extensions that are solely paid gambling experiences. They are looking to expand on these ventures by increasing their presence on YouTube with content that is completely new with huge improvements on what they have done in the past.